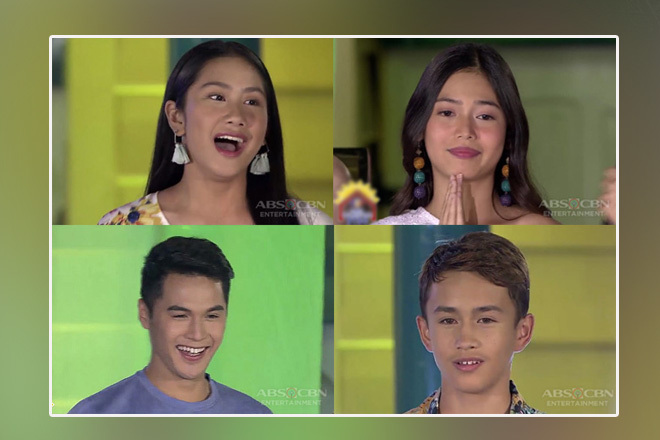 On the February 4 episode, it can be recalled that Kuya called the attention of the housemates by displaying the photos of five of them who committed various violations in the previous weeks. Wakim Regalado had the most number of hits, prompting Big Brother to automatically include him on the list of nominees for this week, while the rest were told to wait for their punishment that would be bestowed to them at the “right time”. And that “takdang panahon” appeared to be yesterday, as Kuya filled the house with the sound of shattering objects, which signaled that the time had come for violators Andre Brouillette, Apey Obera, Fumiya Sankai, and Yamyam Gucong to finally face the consequence of their mistakes and carelessness. They were summoned to the confession room for them to receive their punishment. They’re guilty of committing various violations, but since most of them accidentally broke some items, they were told to wear huge fragment of a bucket on both hands and had to move around the house with those buckets bound to one another. 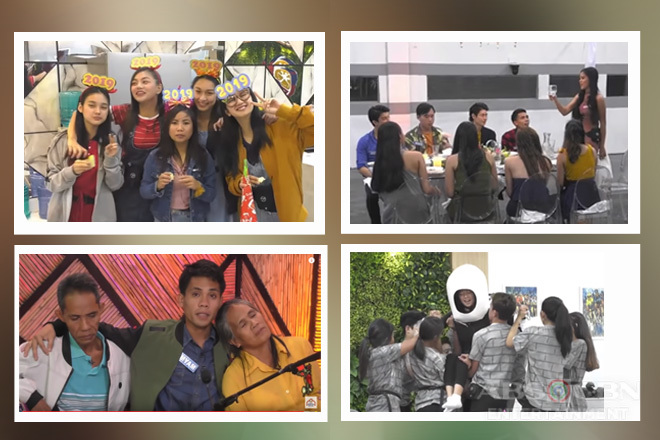 They were divided into two groups, with Fumiya and Yamyam as the Red Team-ba while Apey and Andre as the Blue Team-ba. Despite being reprimanded, the famous Pogi Spiritual Brothers, comprised by Fumiya and Yamyam, were still able to find enjoyment to their difficult situation as they grooved to the official sound track of Pinoy Big Brother Otso and to the dance craze “Chambe”. The “Konichi-Wonder Vlogger of Japan” even teased his smitten best friend to their new housemate Tori Garcia who volunteered to feed the both of them during their dine time. He told Kuya, “His face is super smile. He’s so happy”, and went on to exaggeratingly describe his facial reaction. Moreover, Kuya poked fun on the FumiYam “laughteam” as he told them to fix each other’s hair when he noticed them fixing their own as they went inside the confession room. Fumiya was reluctant at first, but gave in to Big Brother’s ridiculous request to Yamyam and thanked him afterwards. To make their punishment extra challenging and exciting, Big Brother played “Bring Me” with them, in which the objects he asked them to bring – Mark Obera’s pillow, a lipstick, a pair of shorts, a paper airplane, and a strand of Wakim’s white hair – were flashed on the plasma screen in the living room. Garnering the highest number of points, Apey and Andre were granted an 8-minute rest. With Kuya prohibiting them to take a seat, they’re slowly beginning to feel the weight of their punishment in their already numb and tired bodies, not to mention how worried they were for their yet-to-be-finished “trashion” pieces . To end their predicament, Kuya told the four violators that their punishment will only be over once they accomplish the “Gripo Challenge”. In this challenge, their teamwork and gumptiousness are highly needed for they have to remove the two balls from the aquarium by making them float beyond the brim by pouring water to it. They need to fetch water from the huge elevate faucet in the swimming pool area using their broken buckets. Aside from the granting of the violator’s punishment, last night’s episode also featured the gradually improving relationship between long-lost siblings Apey and Mark, who used to be 2-in-1 housemates before they got disbanded early this week. They were spotted chatting regarding their baptism and their godparents. Lou Yanong and Wakim were also able to settle their misunderstanding as they talked about it before they went to sleep. Are Andre, Apey, Fumiya, and Yamyam going to finish their challenge? Let’s all find out by watching the next episodes!